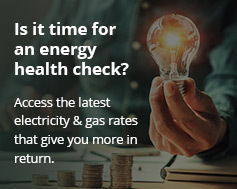 Electricity bills remain the no.1 concern for Australian consumers according to the latest Choice Consumer Pulse – and the energy sector is suffering from a significant reputation problem. 70% of those surveyed cited electricity as their biggest concern (79%), followed by food and groceries (73%), fuel (70%), health/medical (67%), car insurance (60%) and water (60%). In the latest Consumer Pulse, Choice also ranked the trustworthiness of ten different service providers; with another wake-up call for the energy sector that took the unenviable no.1 spot for being perceived as untrustworthy. Choice’s director of campaigns and communications Matt Levey said it wasn’t surprising energy providers ranked so poorly. A recent report by St Vincent de Paul Society found significant market and regulatory failures in ensuring customer access to clear and reliable information about energy offers. “Benefiting from shopping around is a positive aspect of competitive markets and consumer choice, and we have a solid track record in encouraging consumers to get involved and seek a better price,” says the report (PDF). Choice concurs with Vinnies’ findings. “When we looked at energy retailers last year, we found it a sector of hard sells and contract confusion,” says Choice. It’s little wonder then that interest in home battery storage is building and increasingly owners of solar panels are asking if their solar power systems are battery ready. Many Australians appear to be eager to either divorce themselves entirely from the mains grid, or at least further reduce reliance upon it. But those waiting for the next generation battery systems to be available before making the leap to solar may be missing out. According to Energy Matters, a 5.2kW battery-ready system can return financial benefits of up to $3,000 a year – even without storage – depending on installation location and energy consumption profile. Installing a battery ready system now can also help a household understand their battery requirements.